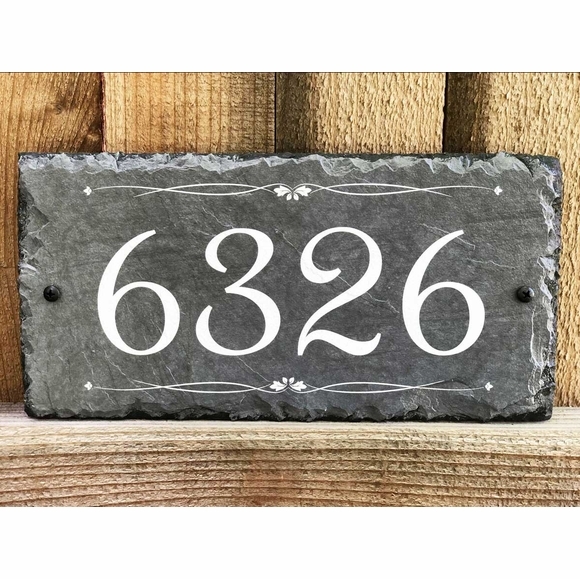 Slate Home Address Sign White on Charcoal Gray - - made in USA. Features decorative accent lines above and below the address number. One line sign holds up to 6 characters. Address number in large image above: 6326.